"Fast withdrawals - no withdrawal limits!" 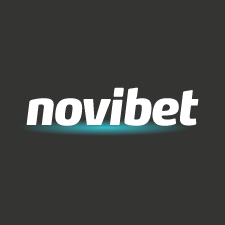 Novibet casino has been around for a few years, and there has not been too many complaints about them – so that’s good. They are focused on the English/Greek market with casino, sports, and live dealers as their main platforms. Powered by Netent, Microgaming, Scientific Games, Evolution games and many more, with about 1000 desktop-mobile-tablet games – they are licensed by the UKGC. Their payouts seem to be on average 12-36 hours depending on withdrawal method (webwallet, bank, etc.). They have no weekly/monthly withdrawal limits which is a major thumbs up. Novibet’s supported currencies include Euro, British Pounds, and the Australian dollar. Players from Australia, Ireland, the Netherlands, the US, France, Turkey, and Italy need not apply. Sorry. “I made a small deposit yesterday. I sent my ID in at the same time and I was verified literally 5 minutes. I don’t normally play with a bonus but I thought I’d take it up. It was added again within minutes. “I played them a while back and didn’t encounter any problems. Registered ok, payouts were timely and no reason to sound the alarm bells. Novibet Terms and conditions Apply. These guys made it through the Baptism by Fire stage pretty much unscathed. They seem to be on top of their game, and our members have had a lot of good things to say about them. I recommend these guys.